Place Trade Show Orders Now To Ensure Best Delivery Time. The octagonal earring tree by Ovadia is classic display for earrings. 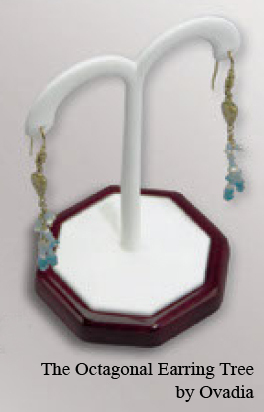 This earring display is accompanied by an octagonal Reelwood base to accent your jewelry. This earring tree is a truly classic, but the octagonal base effectively acts as a framing mechanism to make your jewelry standout. 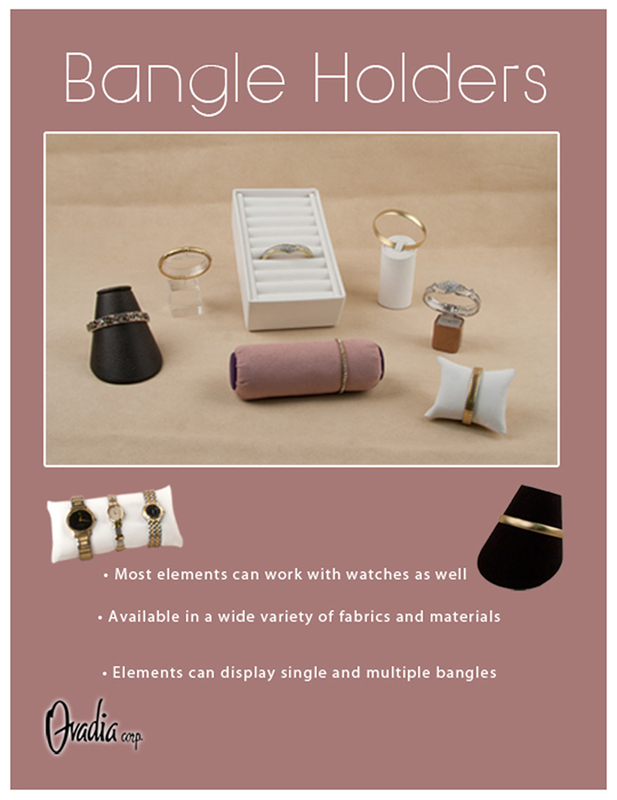 This earring display is really more than meets the eye. Traditional earring trees are really quite basic and do not effectively highlights your jewelry by using the linear forms which make up the octagon to draw your customer's eye inward, drawing attention to your earrings. Few earring displays on the market are as effective as our octagonal reelwood earring trees.